When we were in Berlin this past July, at a restaurant called Renger-Patzsch, our dinner ended with the perfect punctuation mark of a dessert: a chocolate tart with apricots and vanilla ice cream. It was memorable for its combination of elegance and simplicity; a tart isn’t easy to do, but this one, somehow, seemed effortless. I made a mental note that if I were ever going to cook a meal with European flair, I’d end it in a similar way. My moment came on Saturday, after I served that pork shoulder braised in Guinness to some friends. Making tart dough is a lot like making pie dough, which is another way of saying: I had a lot to worry about when seeking a recipe. We all know I’m a doofus when it comes to bringing butter and flour together in any recognizable way. How would I manage it with a chocolate tart? Enter Alice Medrich and her wonderful book, Sinfully Easy Delicious Desserts. That’s right, with Alice’s recipe, you don’t have to roll anything out. You make the simplest shortbread crust you can imagine–stirring together melted butter, sugar, salt, vanilla, and flour–and press it into a tart pan. Voila. Then fold in the chocolate and some flour, pour into the tart pan (I sprinkled some Maldon sea salt on top), bake for another 25 minutes, and look what you’ve accomplished. 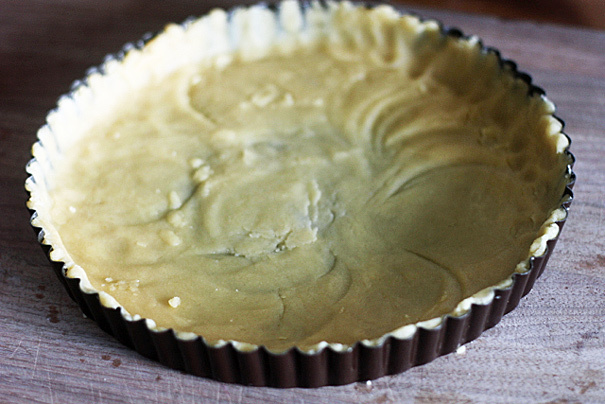 Now that’s what I call The World’s Easiest Chocolate Tart. Literally, I titled the post that. Only thing is: it’s more of a brownie tart than anything like the chocolate tart I ate in Europe. Sort of like a giant brownie inside of a pie shell. But let me ask you a question: would you really say no to a slice of giant brownie cooked inside a pie shell served with a scoop of vanilla ice cream? I don’t think you would. And everyone will be so impressed when you bring this to the table. 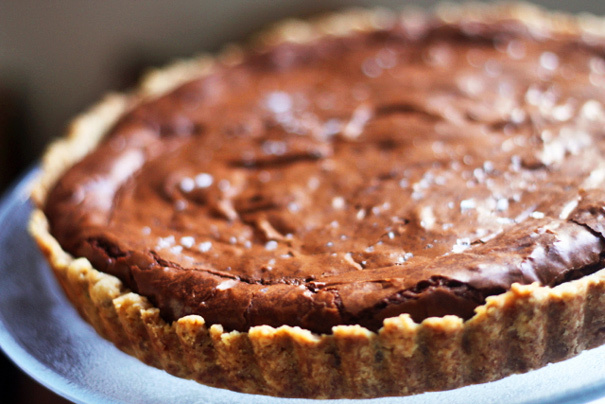 So there you go, the World’s Easiest Chocolate Tart. Thanks, Alice Medrich, for a fab recipe. Summary: Adapted from Alice Medrich’s Sinfully Easy Delicious Desserts. 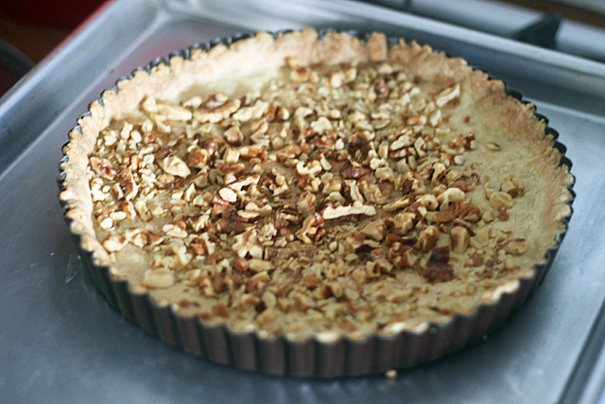 You’ll need a 9 1/2-inch fluted tart pan with a removable bottom for this, so get that out and set it aside. Oh and preheat your oven to 350 F.
Make the crust by combining the melted butter with the sugar, salt, and vanilla in a bowl. Stir in the flour and mix just until blended. If the dough seems too soft and gooey, let it stand for a few minutes to firm up. Press the dough evenly over the bottom and up the sides of the tart pan to make a very thin even layer (I find it’s easier to do this with a big measuring cup). There is just enough dough; press the dough squarely into the corners of the pan to avoid ending up with extra-thick edges. Scatter the nuts evenly over the dough in the bottom of the pan and press them into the dough as far as they will go. Put the pan on a baking sheet and bake for 20 to 25 minutes, until the crust is fully golden brown all over. 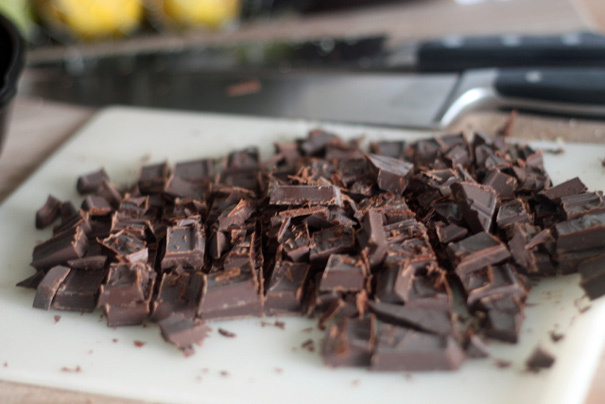 Meanwhile, make the filling by putting the chocolate and butter in a medium heatproof bowl and setting that bowl inside a wide skillet of barely simmering water, stirring frequently until the chocolate and butter are melted, smooth, and very warm to the touch. Remove the bowl from the skillet and set aside. 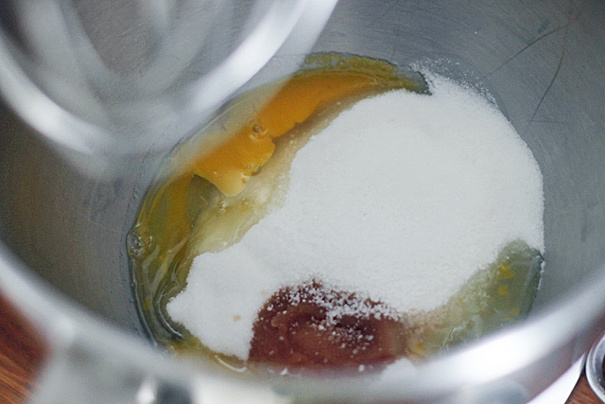 With the electric mixer, beat the eggs, sugar, vanilla, and salt in a medium bowl at high speed until the mixture is thick and light in color, 3 to 4 minutes. 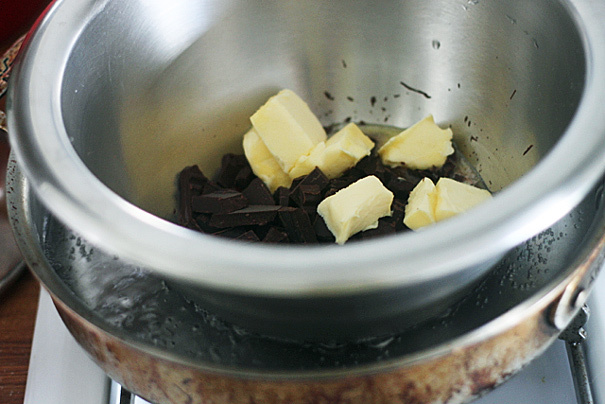 Scrape the warm chocolate mixture into the bowl and fold in with a rubber spatula. Fold in the flour. 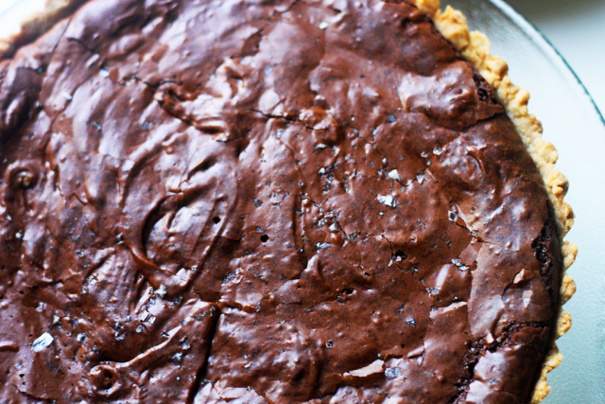 Scrape the chocolate filling into the hot crust and spread it evenly with a spatula. Return to the oven and bake for 20 to 22 minutes, just until a toothpick inserted in two or three places comes out clean with only a stray crumb. Set the pan on a rack to cool. 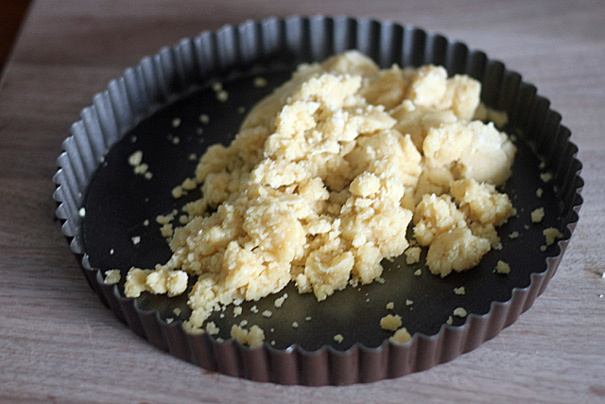 Remove the sides of the tart pan and transfer the tart to a serving platter. Serve with vanilla ice cream. Alice Medrich says you can serve this with a whole piece of nutmeg and a grater for guests to grate on top. “Everyone will leave with fragrant fingers,” she says.